Jiangsu Qili Metal Forming Machine Tool Co., Ltd.
Sports water bottle Pictures More Aluminuim Water Bottle: Packing: OEM serivce: All mugs can be customized design ,printing and packing. Advantages: Design: We can make design according to customer's request , also we can offer our own design for reference. We are sincerely looking forward to cooperate with you and try all our best to create more value for you. 2. Client approves our pp sample, and get the testing report if any necessary. 5. Supplier arranges necessary documents and sends copy of these documents. 7. Supplier sends original documents or telex release the good. So I&rsquo;m sure our silicone water bottle is your best choice for you . We have engaged in silicone product for over 10 years, and international business for over 7 years. We also can offer you large ranges of silicone jewelry,silicone baby product, silicone products in home and kitchen. 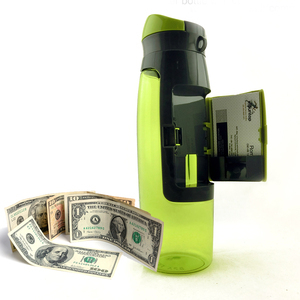 Alibaba.com offers 271,701 sports water bottle products. About 68% of these are water bottles, 1% are bottles, and 1% are football & soccer. A wide variety of sports water bottle options are available to you, such as metal, plastic, and silicone. You can also choose from free samples, paid samples. There are 271,513 sports water bottle suppliers, mainly located in Asia. The top supplying countries are China (Mainland), India, and Hong Kong, which supply 99%, 1%, and 1% of sports water bottle respectively. You can ensure product safety by selecting from certified suppliers, including 53,217 with ISO9001, 17,492 with BSCI, and 16,095 with Other certification.